Welcome to the Rotary Club of Uralla! Located in the Northern Tablelands of NSW Australia. 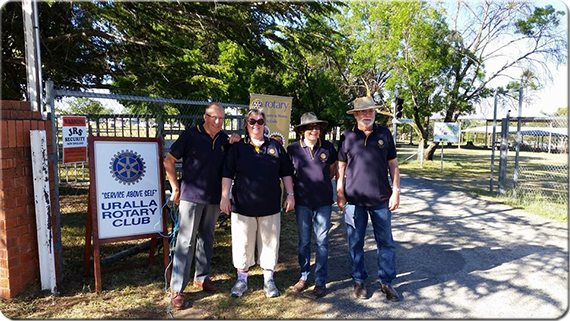 The Rotary Club of Uralla continues a heritage of over 50 years service by generations of the local community who have seen the value of providing assistance to others both locally and right around the world through the projects of Rotary International. Thank you all for visiting our artshow, it was a tremendous one this year! Next event is the bowel scan, come along to the Uralla Pharmacy to buy your kit. See Future Events for more details. 40th Anniversary Art show a great hit! © 2019 The Rotary Club of Uralla This website sponsored, designed and hosted by Integrity Business Management Solutions, IBMS (Uralla, NSW). Contact us for info.